The 2018 forecast: Cloud – but it will brighten your day! Make cloud video services one of your business’ New Year resolutions. It’s not just on a personal level that people choose the New Year to make changes for the better, but also on a business basis. After the Christmas break, people see the New Year as a clean slate for improvement, development and success. 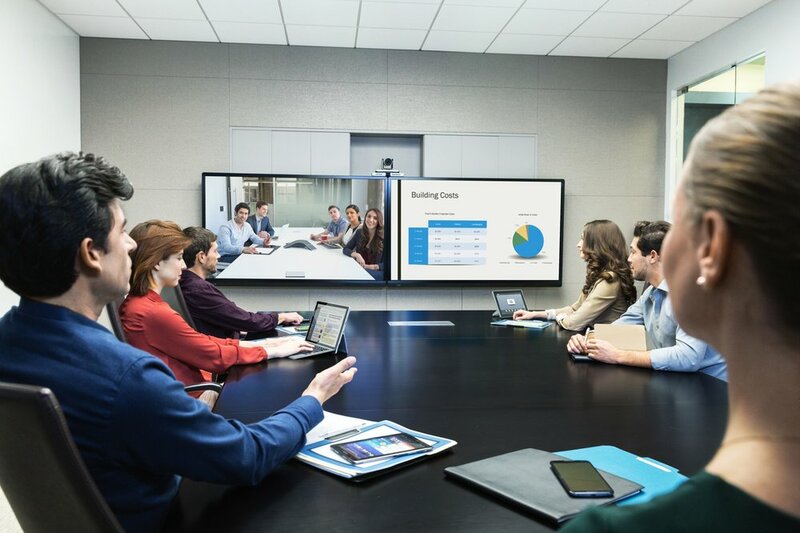 With this in mind, if your organisation has not yet taken advantage of cloud conferencing services, Internet Videocommunications has some compelling reasons as to why you should make this a key part of your business’ New Year resolutions. Whether it be over-indulgence, the closing of festivities or just the weather, January tends to be a time when the workforce feel a tad more run-down and disheartened. “Blue Monday”, as it’s come to be known, was on the 15th of January and this heralds the time where the bank balance feels the pinch of the Christmas spend, we reap the consequences of our (lack of) holiday diets and really notice how little light there is without the decorations festooning towns and homes. What’s more, the start of the year is also when we tend to see the worst of the weather and all the traffic problems associated with it. Giving your workforce the tools to collaborate more readily, whether from the office, or whilst hot desking or even from home, will create a more diverse and flexible working environment that will not just help to lift that morale but also, critically, save businesses time and money, especially when just a light dusting of snow can cause Britain a good deal of travel chaos. Time to tighten the travel belt? Reducing the amount of money - and time - spent travelling to meetings are two of the quickest and simplest ways to take cost out of your business and improve efficiency. Most companies are seeing their cloud video service pay for itself within a matter of months and it’s never been a better time to invest in something that reduces the day-to-day expenditure incurred by travel. Cloud video services now deliver unprecedented ways to bring people together for high quality face-to-face meetings where they can share content and collaborate easily and effectively. In fact, cloud video services now offer so much flexibility and functionality that they are even more of an attractive investment to businesses. 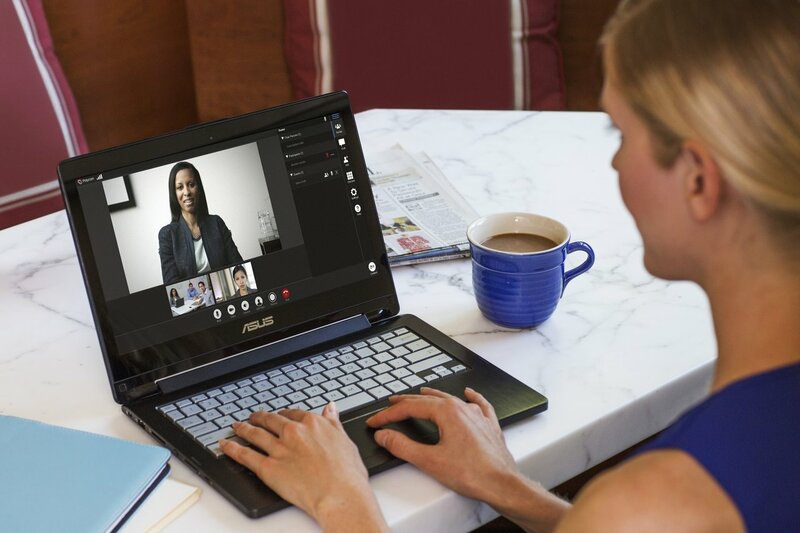 Internet Videocommunications’ own cloud service SightLink, for instance, can bring people together virtually through any device, whether a laptop, a smart tablet or phone, as well as through more traditional video conferencing systems. There is even a solution for clients using Microsoft’s Skype for Business. The possibilities are endless. If your staff have laptops with webcams, smart tablets or phones then, at its simplest level, that is all you need. The cloud video service provides you with an immediate gateway to bring together people within your business and even people from outside. No more clamour for the company meeting room, no more missed appointments. Now your staff can simply click on a web link, connect into a face-to-face meeting and collaborate with anyone in the world at any time. And, as well as being easy to set-up, the cloud video service is completely scalable, whether you wish to start by setting up a handful of virtual meeting rooms for managers and project teams or whether you wish to give every member of staff their own virtual meeting room to use. Ready to make cloud video services part of your New Year’s resolution? Contact us today for a free consultation.